Use this website to quickly find the most important information about Izmir Adnan Menderes Airport: Flights, Departures, Arrivals, Parking, Car Rentals, Hotels near the airport and other information about Izmir Airport. 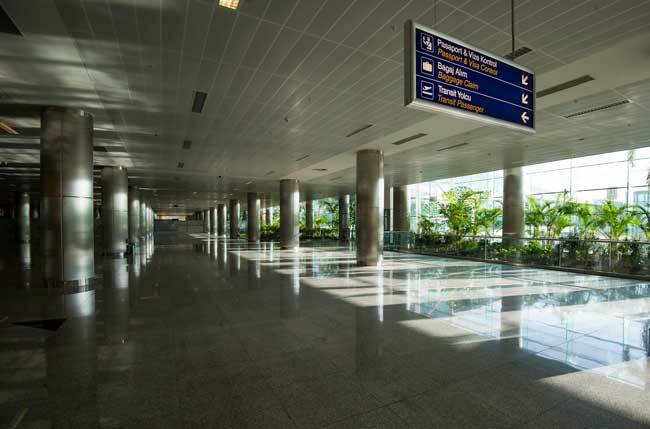 Plan your travel to ADB Airport with the information provided in this site. 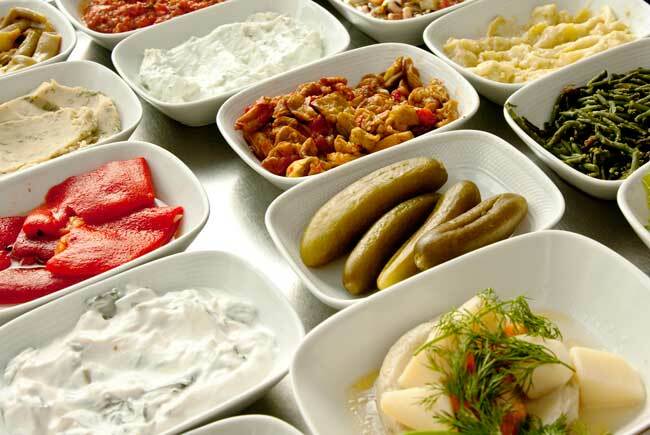 Izmir has one of the richest food varieties of the country with Aegean and Mediterranean influences. Izmir is also known with the nickname of the “Pearl of the Aegean”. It is the fourth busiest airport of Turkey. Izmir Airport serves as a hub for Pegasus Airlines, Izair, Sun Express and Turkish Airlines. The Clock Tower is located at Izmir’s harbour. There is an important ancient Greek site, Ephesus, at just 70 km from Izmir. Izmir Airport (IATA: ADB, ICAO: LTBJ), also known as Izmir Adnan Menderes Airport, is an international airport serving the Turkish city of Izmir and its province. It is located 18 km southwest of the city in Gaziemir, right on the way to Ephesus, Pamukkale and Selçuk. About the name: Izmir Airport is named to honor the former Turkish prime minister Adnan Menderes. It is the fourth busiest airport of Turkey and serves as a hub for Pegasus Airlines, Izair, Sun Express and Turkish Airlines. 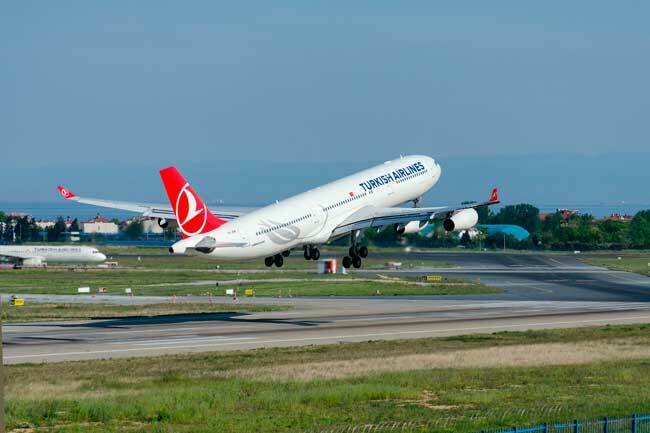 Izmir Airport registered a total passenger flow of 12,331,965 on 2015. Izmir Adnan Menderes Airport is the main international airport of Izmir’s region, hosting either international and domestic flights. It consists of two separated terminals: The International terminal and the Domestic terminal, both under the same roof sharing some of the offered services. 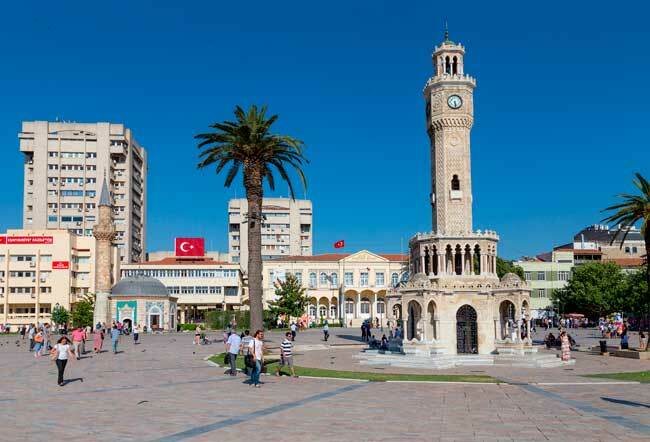 Izmir is the third most populous city of Turkey with a population of 2,847,691 inhabitants. It is located in the western part of Anatolia. 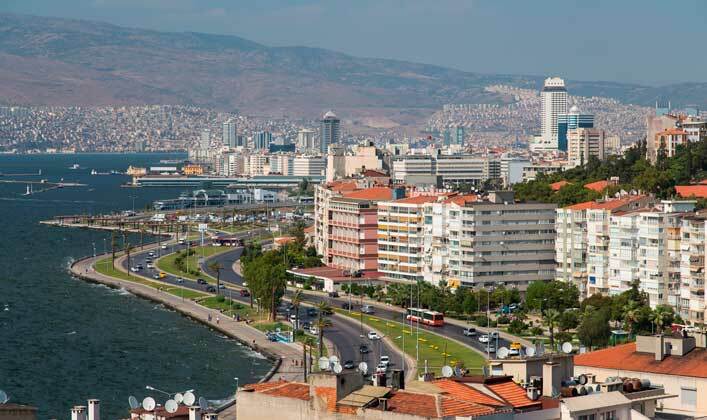 Izmir is also known with the nickname of the “Pearl of the Aegean”. The best time of the year to visit Izmir is on Spring, since on Summer temperatures can easily raise to 40ºC (from June to September), so it is worth to stay cool and refresh with Spring rainfalls. 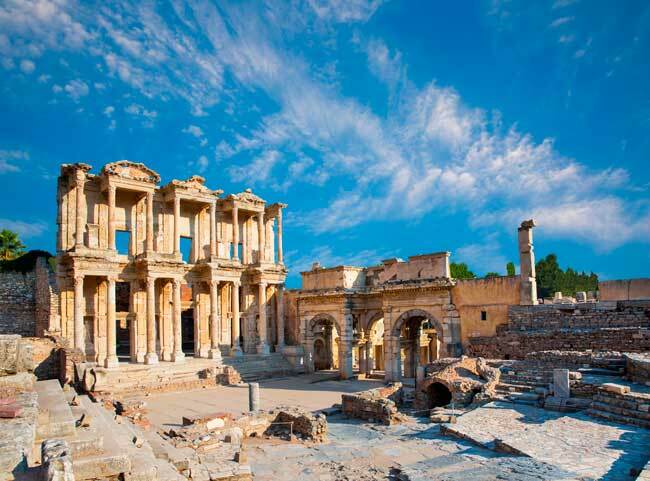 Izmir features for its 4,000 years’ history. Throughout its history, it has been under the rule of the Lydian Kingdom, the Persian Empire, the Roman Empire and the Ottoman Empire, among many others. About its main attractions, features the Agora of Smyrna, which is integrated in the Agora Open Air Museum of Izmir, the Clock Tower, located at Izmir’s harbour, the Kemeralti bazaar, its 3 castles (Kadifekale, Ok Kalesi and Sancakkale), some of the nine synagogues which the city hosts and the Izmir Bird Paradise, a bird sanctuary that hosts almost 205 species of birds. Regarding events, you shouldn’t miss the International Izmir Festival, the Izmir International Fair and the Izmir European Jazz Festival.